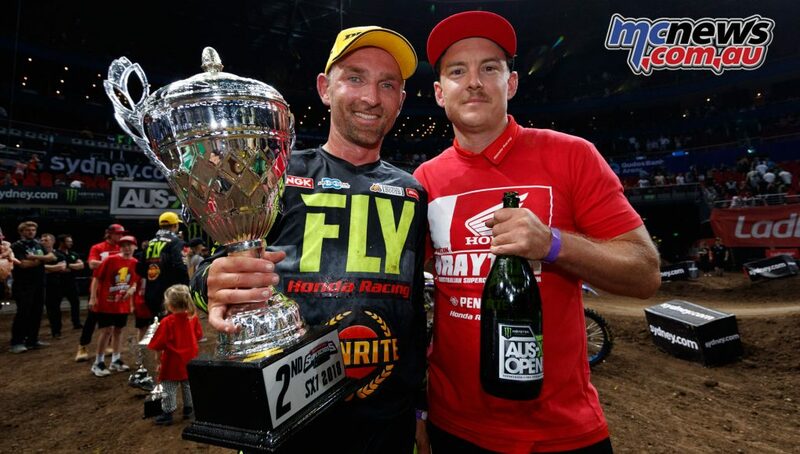 Justin Brayton has wrapped up the 2018 Australian Supercross Championship, with Penrite Honda teammate Brett Metcalfe claiming second overall, ending a highly successful season for the team. 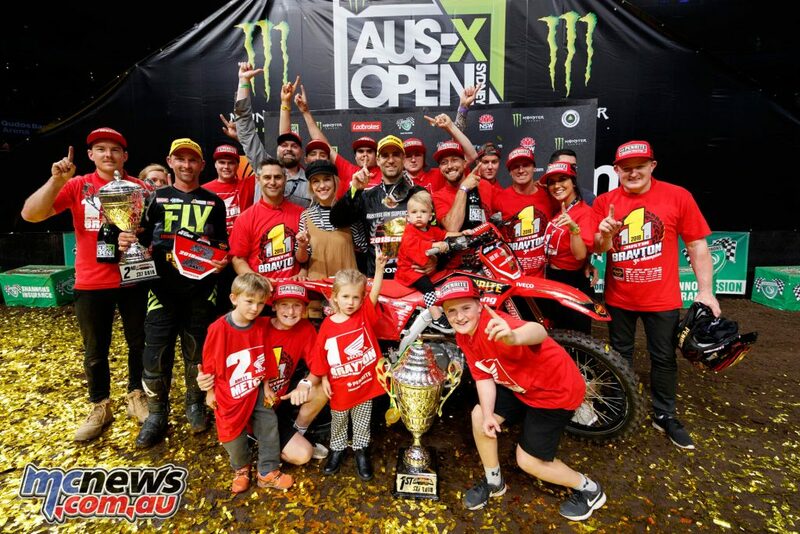 For Justin Brayton the victory marks his third consecutive Championship for the team and a successful first season with Honda. 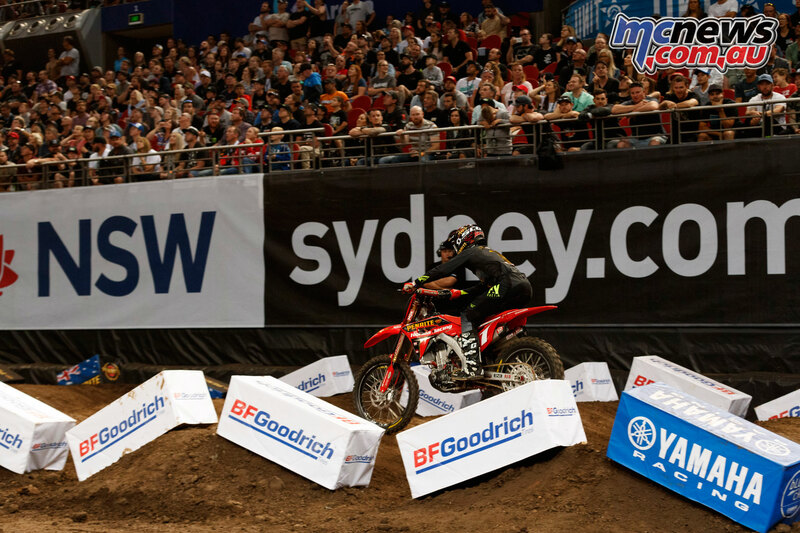 Brayton won three out of five rounds in the Australian Supercross season this year, although appearing in fine riding form, he admitted this was his hardest victory yet. 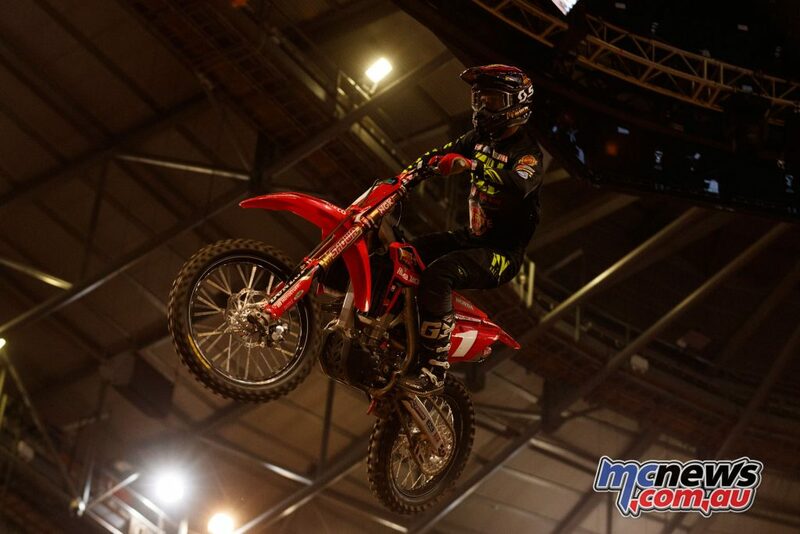 This year marked Brayton’s fourth time in Australia and he hopes to return next year to defend his Championship. 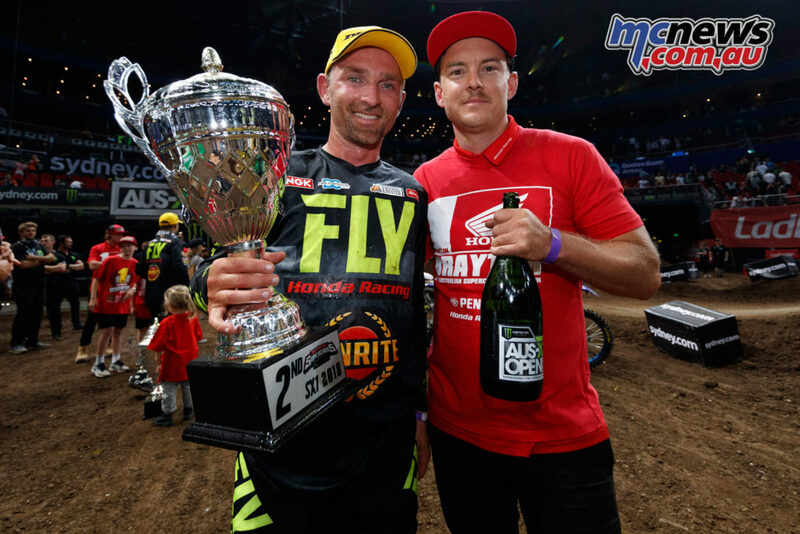 Brett Metcalfe finished second overall in the Championship and shared he couldn’t be happier, having been pleased to have his family watching as he took to the podium for the overall second position. 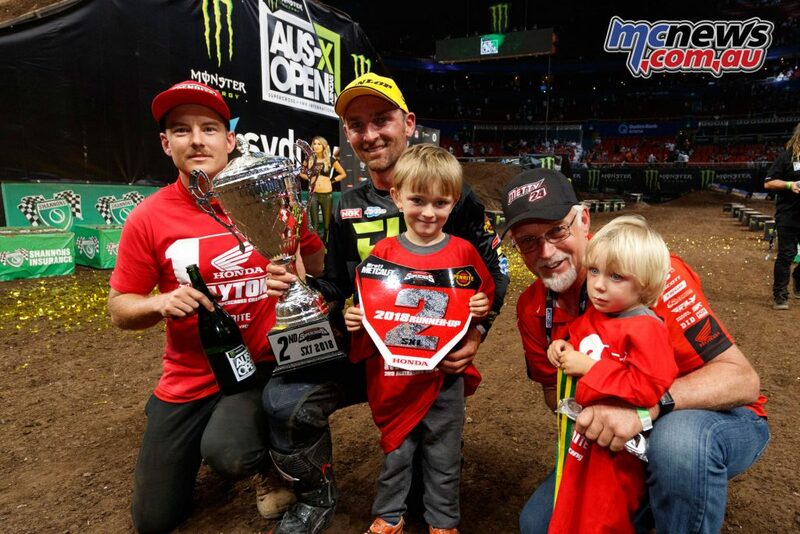 Honda’s Brand and Motorsport Manager Glyn Griffiths was complementary of the result, something very few teams achieve., while Team Director Yarrive Konsky was likewise proud of his team’s results.